Do you remember playing outside as a child? Damming streams, making secret hideouts, seeing just how high you could climb? We certainly do and we believe that the next generation deserve the same rich play experiences we had. 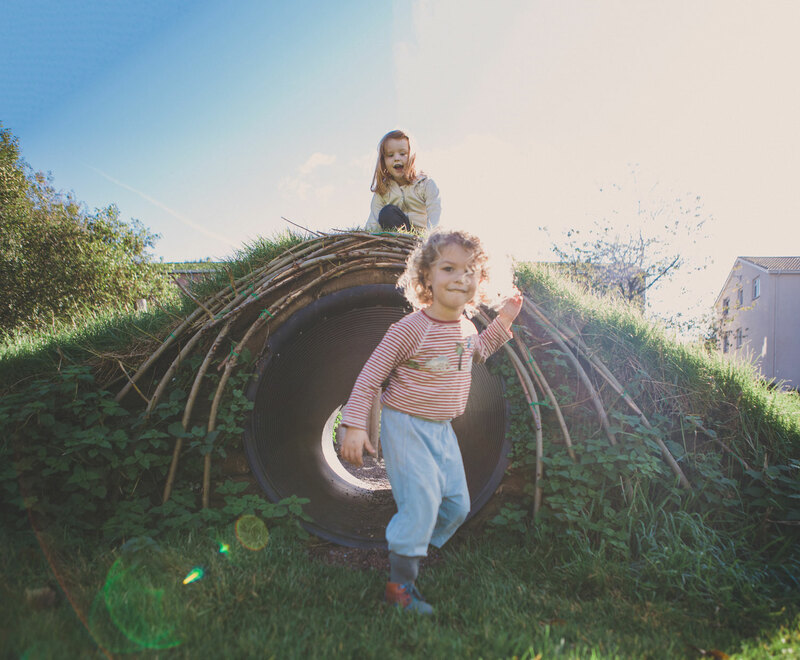 With over three decades as pioneers in our field, we design and build stimulating ‘habitats’ that invite children to play freely in a world of their own imagining, while kindling their innate love and appreciation of the natural world. Let’s work together to create the kind of play our children deserve. We are a small group of designers and makers passionate about nature and play. 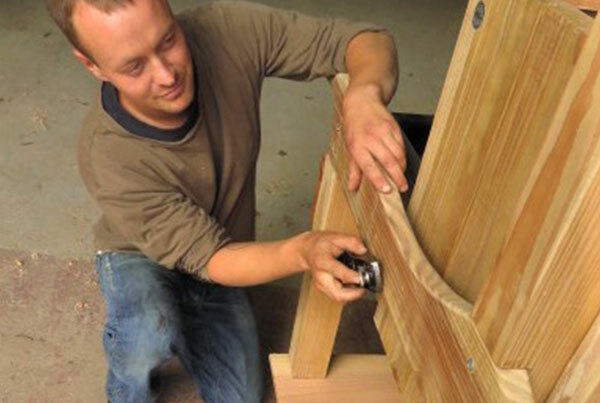 We listen to your ideas and work with you to create play spaces that meet your needs. Drawing on a wealth of research in the field of play, as well as our own hands-on experience working with children and communities, we understand the importance of different types of play. 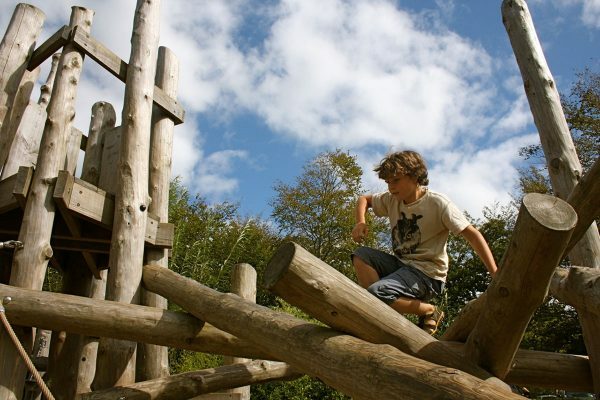 Our designs accommodate children’s differing and changing play needs – from wild and physical to quiet and imaginative. We use the following 6 play types to categorise our play offerings. We design and build in a wide variety of settings – schools, nurseries, tourist attractions, public spaces. 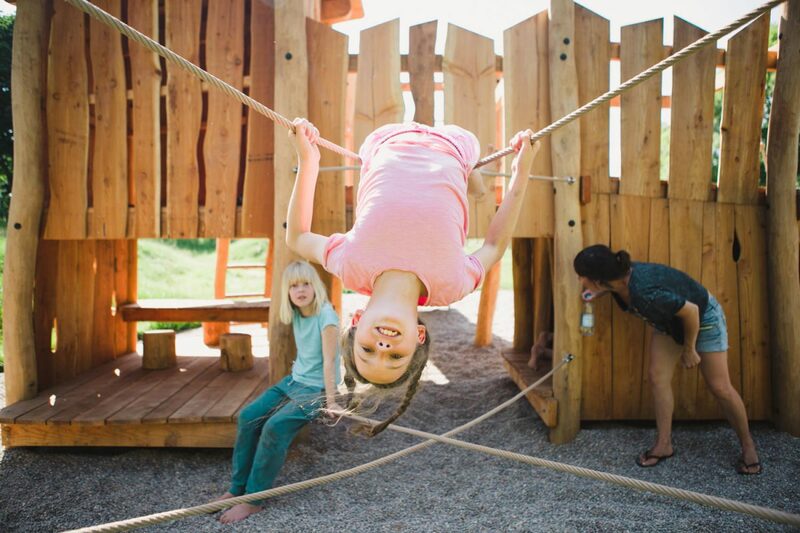 We incorporate existing features and combine a variety of elements to create rich play experiences for any age group. View our portfolio to see our selected case studies. The build is of exceptional quality, durability, and ethically and sustainably sourced. 11 out of 10 all round! Your workers were extremely polite & friendly, taking time to speak to the parents and children. I had many complimentary remarks about them. 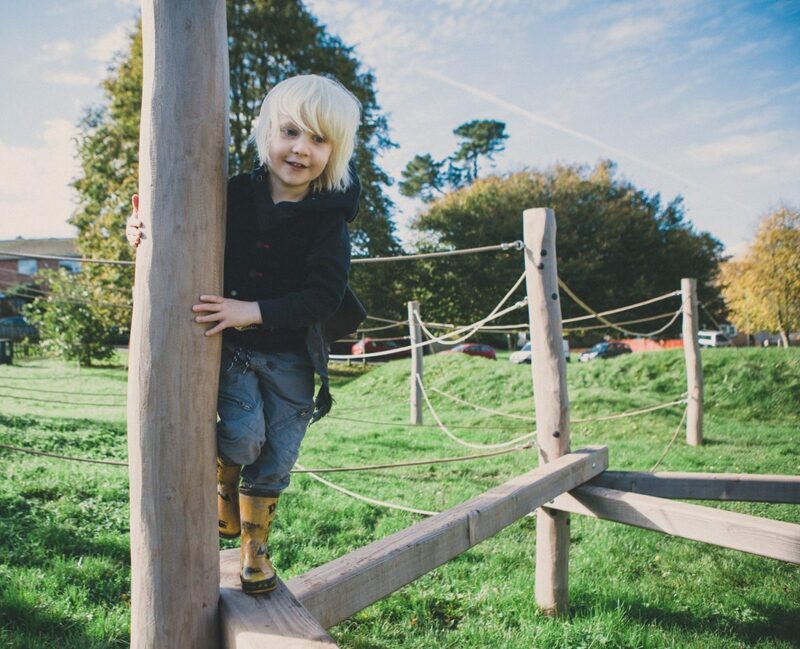 We were delighted with the speed and efficiency with which Earth Wrights erected the new play equipment at Stancombe Manor. Earth Wrights service was exemplary from start to finish and the installation staff are both considerate and personable. We have been so pleased with the work, ethic & vision of all involved. Earth Wrights have turned our ideas into an exciting reality! Sign up to see what we’ve been working on, claim first dibs on any new product launches or occasional offers and generally keep up to date with our thoughts and insights.